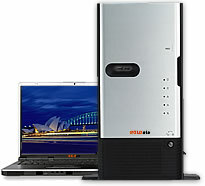 Affordable scalability and power customized to your needs. These BOLData Workstations are powerful, scalable systems tested and optimized to run a number of workstation-class applications. All BOLData Workstations are designed for easy upgrades and built to accommodate a wide range of peripherals and graphics cards. Choose custom-built BOLData Workstations over our high-end desktops for all your engineering, finance, software development, digital content creation, digital video editing and GIS applications.